Iranian security forces barred Sunni worshipers from entering a Sunni prayer site in Tehran on Friday 9 January 2015, preventing them from holding congregational Friday prayers. 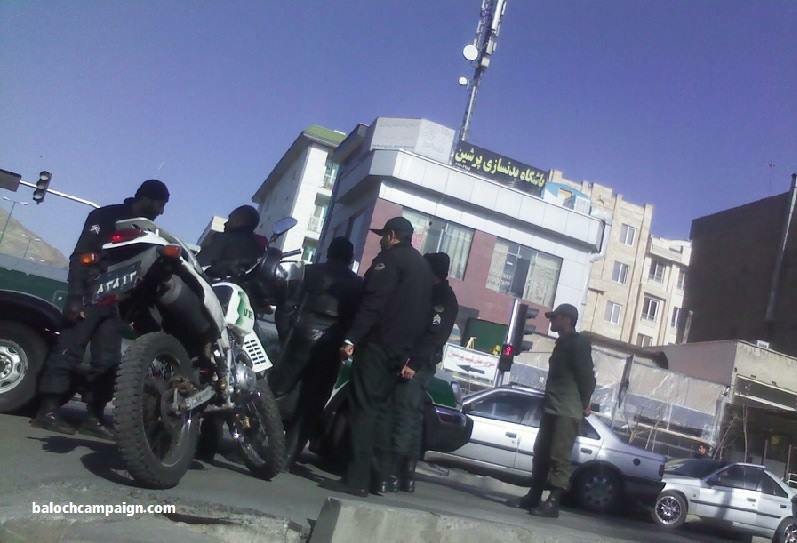 Security forces were deployed Friday morning in the Pounak neighborhood of Tehran, where they blocked roads leading to the Sunni prayer site and prevented worshipers from entering the building. Trustees of the prayer site were also contacted on Thursday night by members of the security forces, who told them that ‘they [Sunnis] had no right’ to hold congregational Friday prayers this week. The carefully-planned operation appears to have been deliberately scheduled to take place on the final day of the so called Shia-Sunni ‘unity-week’, which began this year on Monday 5 January. The Iranian regime claims the ‘unity-week’ is evidence that they are not hostile to Sunni Muslims and claims that it proves they regard Sunni Muslims as equal to the Shia. The actions of the authorities today, however, sent a clear message to the Sunnis of Tehran that the ‘unity-week’ is nothing more than an empty slogan. Despite Sunnis being the largest religious minority in the Shia majority Iran, with records indicating that there are more than a million Sunnis living in Tehran alone, the Iranian government has prevented a Sunni mosque from being built in Tehran. The Sunni citizens of Tehran are instead forced to use rented rooms and spaces as ‘namaz khaneh’ (prayer rooms) to hold obligatory Sunni congregational prayers, with restrictions forcing some to organize Sunni prayers in their own homes and private spaces. These prayer sites regularly come under attack from the authorities preventing Sunni Muslims from using them, causing Human Rights Watch (HRW) to issue a statement urging Iran to ‘lift restrictions on Sunni worship’. This entry was posted in N E W S, No Sunnah Masjids in Tehran!. Bookmark the permalink.